Blizzard has revealed the full details of how the first season of its pro gaming Overwatch League will pan out, with the excitement kicking off in January. To be precise, the first match will be on January 10 (although there will be preseason exhibition matches from December 6 to 9), with the season divided into four stages lasting five weeks each with a short break in between. Each of the 12 teams involved will play 40 matches during the season, half within their division, and the other half will be inter-divisional. There are two divisions, Atlantic and Pacific, with six teams apiece (and the UK franchise – London Spitfire – is in the former). 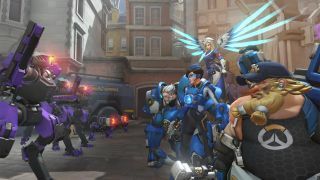 Games will be played at the Blizzard Arena Los Angeles, but you’ll be able to watch the matches streamed on the Overwatch League website (plus there will be a companion mobile app, although that’s not available yet). The regular season leads into the play-offs, starting on July 11, where six remaining teams will compete for the following 11 days to make the grand final, which will be held on July 26 through to 28. The winning team takes the glory, the trophy, and a cool $1 million (around £760,000, AU$1.3 million) bonus. There will also be various performance bonuses throughout the season for winning the four separate stages, and for overall regular season and play-off placement, with bonuses totaling $3.5 million (around £2.7 million, AU$4.6 million). Note that players are guaranteed to receive at least half of this bonus money in addition to their base salary, the latter of which, if you’re curious, is a minimum of $50,000 (around £38,000 AU$65,000), per year. Players on the better placed teams, then, are going to make some serious money in this esports league when the bonuses are added in. Most of the franchises are based in the US, save for the London Spitfires, who as we mentioned are in the Atlantic division, and the Seoul Dynasty plus the Shanghai Dragons, who are in the Pacific division. The official Overwatch League site has been updated with all the latest news, team rosters and so forth, and Blizzard’s promising plenty in the way of stats tracking so we can follow the top players closely and see how good they really are.